all abandoned - skyler inn - what's wrong with this picture? Hint: there's nothing overtly wrong with the installation of the dead bolt or the sliding latch. I won't say, but it's also worth noting that providing three types of interior-only locks seems quite excessive. 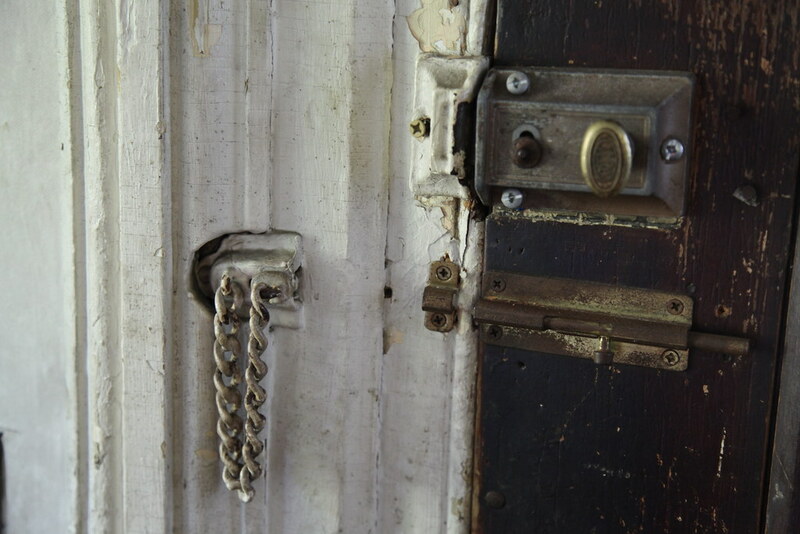 Today, most people install only a knob and a dead bolt, but this door also included a locking knob, meaning that this door featured not two, but four locks.